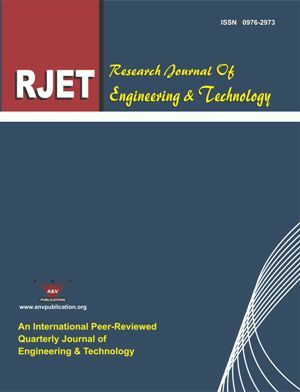 Research Journal of Engineering and Technology (RJET) is an international, peer-reviewed, research journal aiming at promoting and publishing original high quality research in all disciplines of engineering sciences and technology. Viz. Mechanical Engineering, Civil Engineering, Electrical Engineering, Electronics and Telecommunication Engineering, Computer Engineering, Chemical Engineering, Biotechnology, Information Technology, Architecture Engineering etc. The journal is published every year in last week of March, June, September and December from Raipur. . . . . Read more. Online since Sunday, Mar 31, 2019 Accessed 1 times.